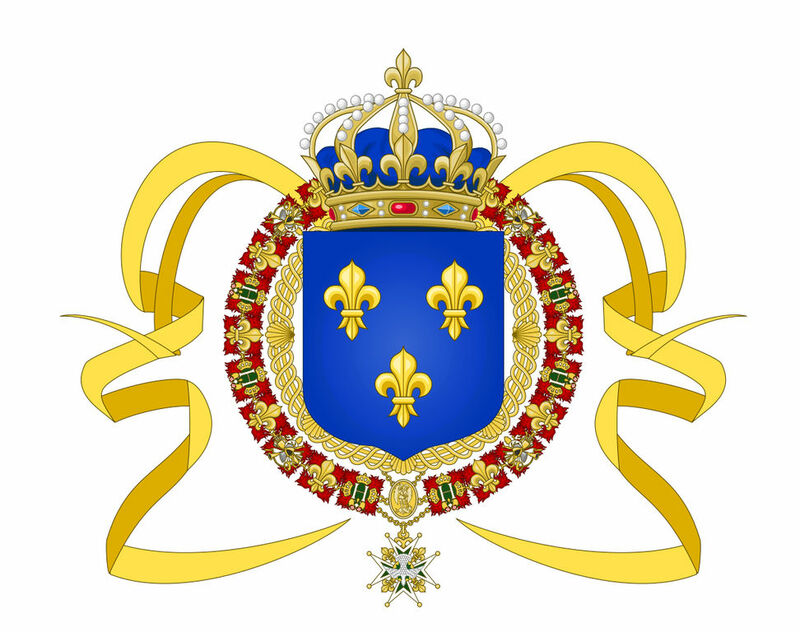 At the time of New France, the Society of Jesus was one of the largest religious communities in the Catholic Church. 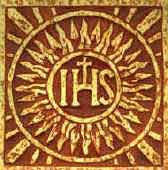 The members of this society, known as “Jesuits”, were officially recognized by Pope Paul III in Rome in 1540. They had a reputation for being the intellectuals of the Church because of the 15 years of training they received in science, theology and philosophy. 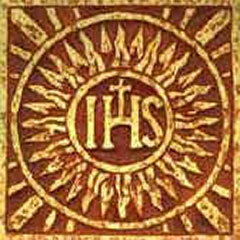 The seal of the society consists to this day of the letters IHS (abbreviation for “Jesus” in Greek) surmounting three nails, which symbolize the crucifixion. The Jesuits were missionaries who travelled throughout the world. Initially, their work took them across Europe; however, as European empires expanded their colonial possessions, the Jesuits travelled to Asia, Africa and America, where they devoted themselves to educating Aboriginal populations. In New France and Acadia, the Jesuits were the first religious order to build and inhabit missions. They crisscrossed North America in order to transmit their knowledge, teaching languages, arithmetic, hygiene and European technology with the help of songs, prayers and theatre. The method they used to convert people to Catholicism was based on the fear of Hell. In the 16th century, New France was a colony/trading post used for fishing and the fur trade. It was not until 1600 that the first permanent trading post was opened there. The post was located in Tadoussac, at the junction of the Saguenay and St. Lawrence rivers. Colonists settled permanently in New France as of 1603, and the fur trade then became the colony’s main economic activity. It involved a vast exchange network between European merchants and Aboriginal populations in North America. Furs had become very popular in Europe, and the only way that European merchants could engage in the fur trade in such a large unfamiliar territory was with the active participation of the First Nations. Around the mid-17th century, skirmishes increased between Aboriginal groups and Europeans, and the French were drawn into war against the Iroquois. The destruction of Huron villages, epidemics of European origin and the presence of Iroquois along the St. Lawrence and its main tributaries drove the Algonquins further north. 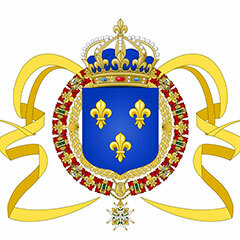 In 1665, King Louis XVI sent the Carignan-Salières Regiment to New France to build a series of forts on the Richelieu River and the banks of the St. Lawrence. 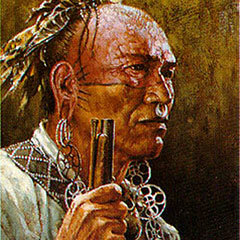 He thus sought to thwart the Iroquois and bring peace to the St. Lawrence Valley, up to the Great Lakes. As soon as peace was restored with the Iroquois, the fur trade intensified owing to the activities of the Compagnie des Indes and new agreements with Amerindian groups to the west and north. The arrival of the British in James Bay and the creation of the Hudson’s Bay Company (HBC) in 1668 prompted the French to set up trading posts and small fortifications, like Fort Abenaki, at the junction of waterways in the interior. The presence of these installations prevented the best furs from being traded with the British, and helped to repel incursions by the British and their Iroquois allies in New France and Acadia. 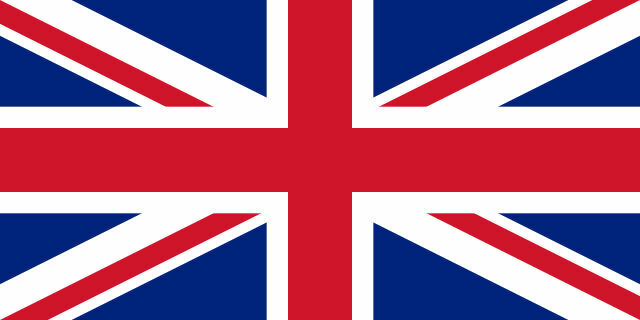 The first British colony in North America was founded in Jamestown, Virginia, in 1607. 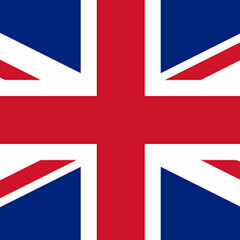 Most of the colonists who came to the east coast of New England were British, although they also included Dutch, Swedes and Germans who had adopted English as their common language. In 1690, New England had over 250 000 inhabitants; in 1775, it had over two million. Contrary to the colonies in New France, those in New England enjoyed considerable administrative autonomy vis-à-vis their mother country from the moment they were established. Each colony had a local government and its own legislative system - a situation that had an impact on Aboriginal populations. British colonists came into conflict with the vast majority of First Nations groups, except for the Iroquois, who acted as their allies from the mid-17th century onward. As Aboriginal people saw their resources disappear, they faced difficult choices: death, war or loss of their ancestral territories. Since Aboriginal populations refused to be reduced to slavery, the British decided to exterminate them. Later on, the Americans continued to evict them from their land, perpetrating quasi-genocide. As of 1806, First Nations survivors were deported and integrated into the “reserve” system. 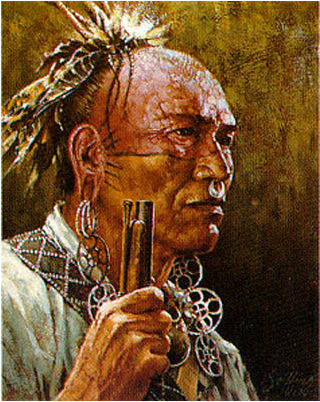 The Abenakis belong to the North American Aboriginal group called the Wabanaki. The name refers to “people of the east” and comes from Wabun or Waban meaning “east” or “rising sun” and Aki meaning “earth”. The Abenakis once occupied a vast territory comprising the present-day states of Maine and Vermont as well as southern Québec (Eastern Townships, Centre-du-Québec region and Chaudières-Appalaches). The Abenakis soon came into contact with Europeans and played an active role in the fur trade. However, the arrival of French and British colonists on their land changed their way of life dramatically, affecting in particular their settlement patterns, land use and movement within their territory.